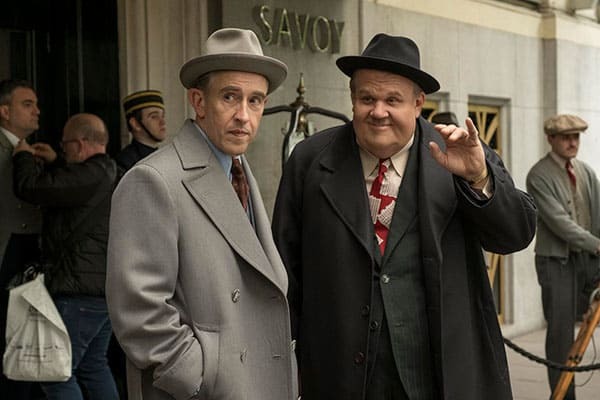 One of the most acclaimed films that was released at the end of 2018 was Stan & Ollie, a biopic about the later years of the iconic titular comedy duo Stan Laurel (portrayed by Steve Coogan) and Oliver Hardy (portrayed by John C. Reilly). Many reviewers have commented on the astounding physical transformation through makeup that the two leads underwent to portray Laurel and Hardy. Coogan spoke to Collider about not only about the makeup but also the other aspects that went into getting into character. It’s a skill, and you’re trying to emulate their skill. When they made their films, Stan was the brains behind the operation. Oliver did make a contribution, but Stan wrote most of them and directed a number of them. They had to make it look effortless. It’s very hard, especially when you’re doing a dance routine. You have to learn it, and then slightly unlearn it. You have to throw it away a bit. You have to learn it mathematically and musically, with discipline, and then you need to make it a little more ragged. The skill and the hard work is making it look effortless. When it just looks accidental, that’s through rehearsal. You rehearse, and rehearse, and rehearse. We actually had nearly a month, before the film started, where we had to do dance routines, and practiced gestures and physicality. We’d all talk to each other. Every day, we dressed up. We got to know each other and got to know the characters a bit. The way we rehearsed the dances, in some ways, was exactly the way Laurel and Hardy would have rehearsed the sketches and the dance routines.